NDBers line up for the 3rd Floor Feast. 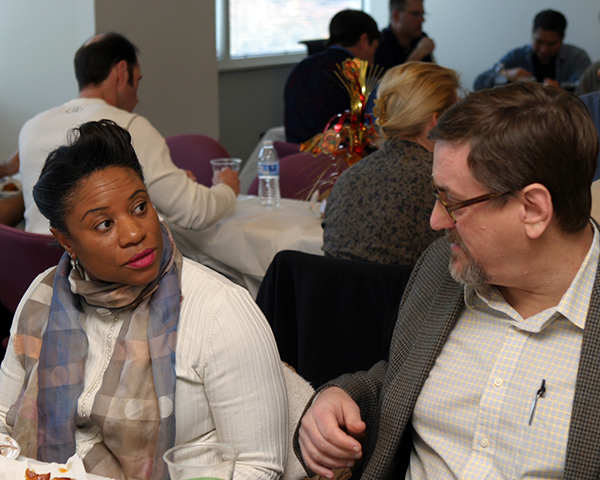 As employees finalize plans for the Thanksgiving holiday, two areas in LITS took time to celebrate the season and enjoy some fellowship by holding holiday luncheons. While nearly every department enjoyed some form of team lunch this week, the Call Center Thanksgiving Dinner and the NDB 3rd Floor Feast are holiday traditions. 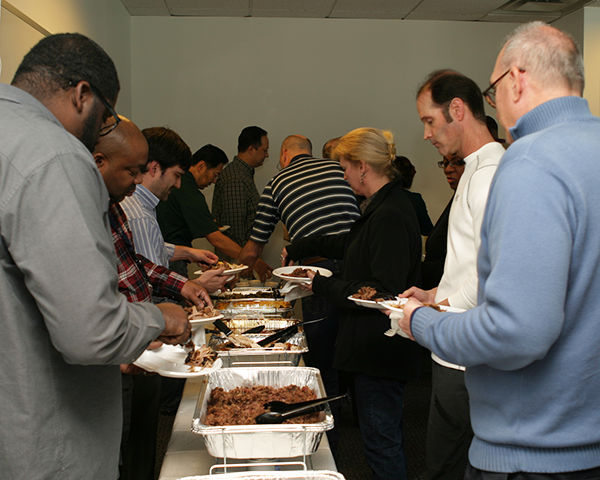 The two potlucks give employees the chance to try out their favorite recipes. “This started years ago when I heard my co-workers bragging about how good they were at grilling,” said Linda Richardson (Business and Administration), who organizes the 3rd Floor Feast. “I said, ‘Oh yeah? Show me! '” Since then, employees have been bringing in various meats and treats for this event. Trisha Wilson and Curt Tucker discuss which is better…beef brisket or pulled pork? This year, the 3rd Floor Feast actually used the Kennesaw Room on the second floor of NDB, but the event has sometimes been held right in the 3rd floor cubicle area or on the NDB lawn, if the weather is nice. The Call Center Thanksgiving Dinner is a chance for the workers at the Midtown facility to get in the spirit of the season. Organized by Bonita Russell and Mary Secrest (Call Center), the event is placed right in the Call Center and lasts nearly all day to give the various shifts a chance to enjoy the food and friendship without lowering the level of support for which they are well-known. 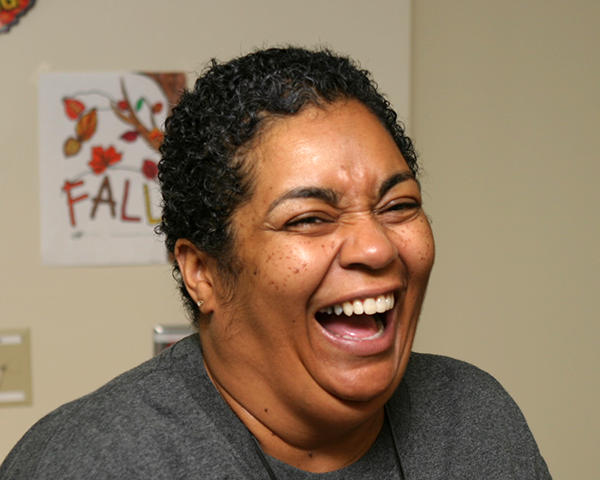 Bonita Russell shares a light-hearted moment with co-workers. The food is sumptuous. “Mary uses a sign-up sheet to encourage everyone to bring all kinds of items,” said Nicola Walker (Call Center). This entry was posted in Staff Bytes and tagged Business and Administration, Call Center, holiday, Midtown, NDB. Bookmark the permalink. Post a comment or leave a trackback: Trackback URL.